Berman & Riedel, LLP, is a prominent law firm which represents the victims of serious personal injury and wrongful death cases throughout the State of California. Our team of renowned injury attorneys and professional staff vigorously advocates on behalf of those who are injured or affected by the negligent/harmful acts of others, and we pride ourselves on working tirelessly to obtain exceptional settlements and verdicts on behalf of our clients. As a plaintiffs’ personal injury firm, we do not represent business, industry or insurance companies in the defense of personal injury or wrongful death matters. Dedicated to providing the highest quality legal representation, the attorneys at our firm consistently obtain results on behalf of our clients which exceed expectation. We take pride in producing an outstanding resolution for each legal case we take on, and indeed many of our settlements and verdicts have been lauded in the news as unparalleled. 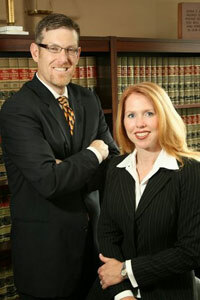 The extraordinary success of law firm enables us to be very selective in the clients and cases we choose to represent. Thus, if we accept your case, you can be confident that we believe in your case and will do everything in our power to aggressively pursue your legal interests in an effort to recover the maximum compensation to which you are entitled under the law. The legal professionals of Berman & Riedel, LLP, are committed to the highest professional and ethical standards in the practice of law. Our firm’s ability to navigate the civil legal system and understand the more complex intricacies of serious personal injury and wrongful death cases is unsurpassed. In fact, the majority of cases which come to Berman & Riedel, LLP are referred to us by our clients and/or attorneys who are impressed with the exceptional results we have obtained on behalf of our clients. The process of seeking legal advice and representation can seem overwhelming, particularly when you are seriously injured or have lost a loved one. You are forced to make immediate decisions which will affect the course of your case and, potentially, the rest of your life. When you put your trust and case into the hands of the highly effective team of San Diego accident lawyers at Berman & Riedel, LLP, you can rest assured that you will be treated with dignity and respect, and that you have the highest-quality legal representation on your side. Our firm has the skill, dedication, and resources necessary to obtain the best possible outcome for your legal matter, and we will work tirelessly to obtain the maximum compensation possible for your particular case. Our record of success in representing the seriously injured or the families of someone who has been wrongfully injured or killed speaks for itself. We have an outstanding reputation for litigating high-end cases throughout the entire State of California. In doing so, we consistently provide impressive results for our clients. If you or someone you love has been seriously hurt in a car accident, let our team of attorneys help you resolve your legal matter. Contact us today to see what Berman & Riedel, LLP can do for you.